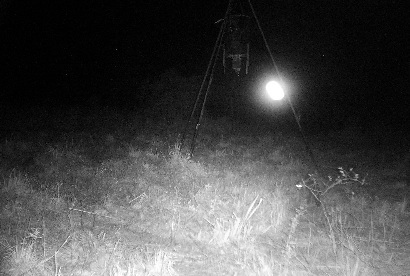 Ghost Road Light caught by game camera. 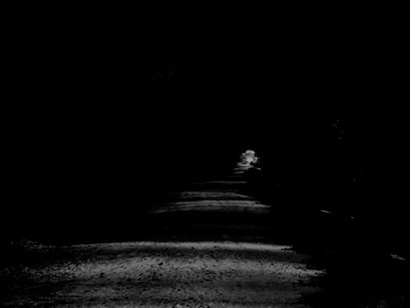 For fun, I thought you might want to see a real life pic of the lights off the ghost road. 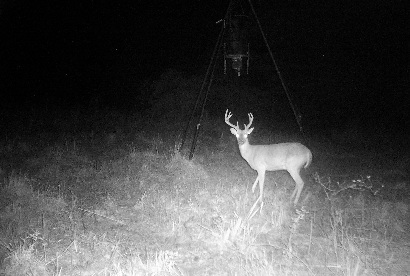 We have just got a new deer lease on 1293 @ Ghost Road and this pic was taken by my game camera in the last 2 weeks. None was on the lease at this time. There are no shiny parts in the woods. 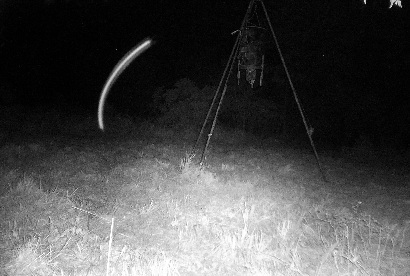 See second pic of deer standing at same feeder, w/ no light�. Very strange if you ask me�.. NO light that I know of makes an oval shape (Pic 193). Also, see other strange light taken by same camera on pic 017.